I can’t believe someone would steal a puppy! Woof! Woof! Daddy showed me this story about a family that got their dog back! Woof! It’s been a traumatic and deeply strange week for Crawford and Mary Clay Gupton. After last week’s ice storm, someone sawed the lock off the gate of their Fort Worth backyard and stole Heidi, their greater Swiss mountain dog. 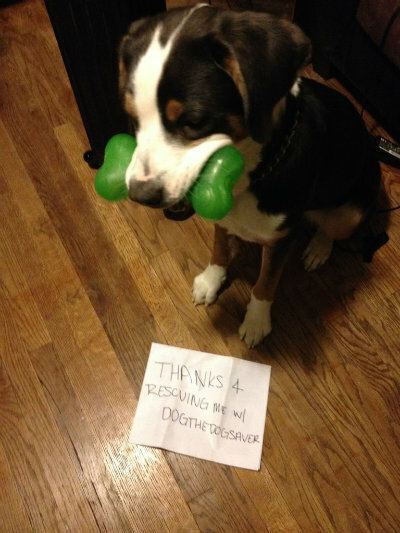 Then the thief, using the handle dogthedogsaver, took to Reddit to taunt the Guptons. Click Here to see the rest of the Story!